The catwalks are being set up, the garments are being tailored, and the models are trialling their makeup backstage at L’Oréal Melbourne Fashion Festival’s official hair and make-up trials. Fashion and beauty season is upon us and APL Photography captured the first finishing touches to bold lips and flushed cheeks. Anthony went behind the scenes, before faces were primed and foundation was set, and snapped festival make-up director Rae Morris, working her magic on her model canvases. 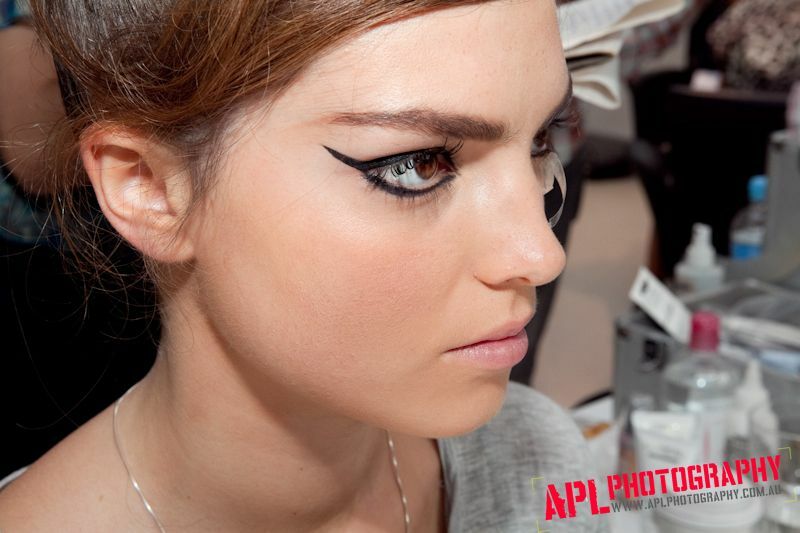 The event showcased the latest hair and make-up trends, which will feature on the LMFF runways. On the beauty scene, defined and shapely eyebrows complement thick Egyptian-style eye-lined eyes. Flawless faces have washed away that summer glow, and have lightly blushed cheekbones, contrasted with deep purple lips, which are making a statement this beauty season. APL Photography also captured festival hair directors Brad Ngata and Catarina Di Biase, trialling the hair trends for the coming autumn/winter season. Twisted knots to form beehives, complemented with wispy fringes, seem to be the dominant style for the perfect hair day this frosty season. Festival fever has just begun, with this just being the tip of the make-up brush. Anthony will snap up all the runway poses during L’Oréal Melbourne’s Fashion Festival during March 14 – 21.